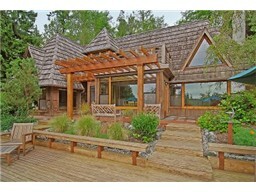 I love this house because it was built by one of my favorite builders, Bill Corbin. It is light, open and modern. I am happy my friend lives there now, so I can continue to admire it. This house has the best floorplan in North Town Woods, in my opinion. 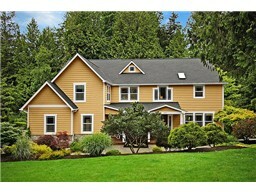 It has a large family room upstairs with three bedrooms. The master is on the main and it has a guest suite over the garage. Plus, it is walking distance to Sakai Intermediate and Woodward Middle School. Loved the colors in this house. Amazing deck with great hillside vistas. Smart, open floorplan, but no cookie-cutter home here. Unique rooflines and clever alcoves. 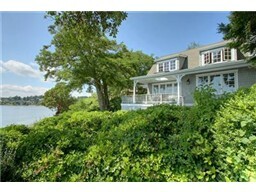 Plus, deeded beach access on Crystal Springs! I love yellow houses. 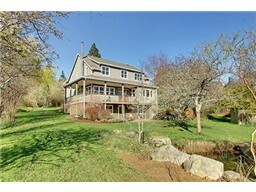 This one got me because it was a large home (3,600 sq. 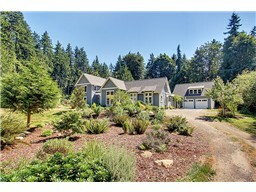 ft.) with a great floor plan and fabulous yard for entertaining. Oh, Beck. I love the eclectic farmhouses in the West Blakely area. This is a newer home, built to fit in with the old. A large lot, with charming outbuildings, garden space and walking distance to Lytle Beach. A little slice of heaven. 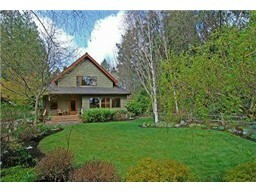 I was happy to sell another Bob Grimm house this year. 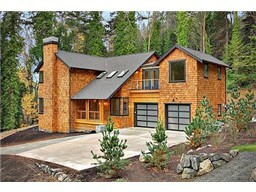 The home I sold last year was brand new, this one was built in 1988, but the quality craftsmanship still shined. 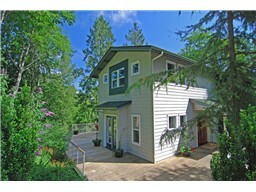 Great home with an amazingly handy 700 square foot two story guest cottage. I loved that this house was clearly built for a family of four. 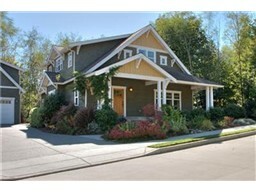 Large (3,000 sq,ft) smart floor plan,with only three bedrooms, which made the living spaces huge, but practical. Loved the main floor master suite and large kitchen office. And, close to Battle Point Park. This house was just cool. Fire pit and water access. Unique design, gorgeous modern kitchen. It would be an ultra-hip place to live, sans the kiddos. This one is close to Battle Point Park too. Listening Lane, you gotta love it just for the name. But, beyond that, Jefferson Properties built a swank modern home. Clean, subtle, yet quality fixtures. Simple lines. Love the glass garage doors! Wing Point is truly Carmel on Bainbridge. When there is a poem welcoming you into the driveway, you know it can’t be bad. A charming home, lovingly designed by the owners. 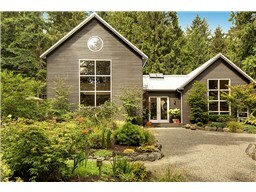 Superb Eagle Harbor views.